Yankee Candles are by FAR one of my FAVORITES! 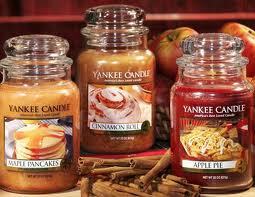 I'm excited to see what fall scents that they're coming out with for this season. Hurry and print this NEW Yankee Candle Coupon. You'll save $20 off your $45 purchase from now through September 1, 2014.